As a military veteran Rep. Dan Swanson brings a unique perspective to Springfield. He understands better than most that many of the brave women and men who honorably served their country now find themselves in need of our help. He gets that honor and other circumstances sometimes prevent veterans from asking for assistance. And he is alarmed by the staggering number of veterans who turn to suicide as a solution. Rep. Swanson also knows from his advocacy that proactivity is the best way to get resources in the hands of veterans. So, he is taking action. 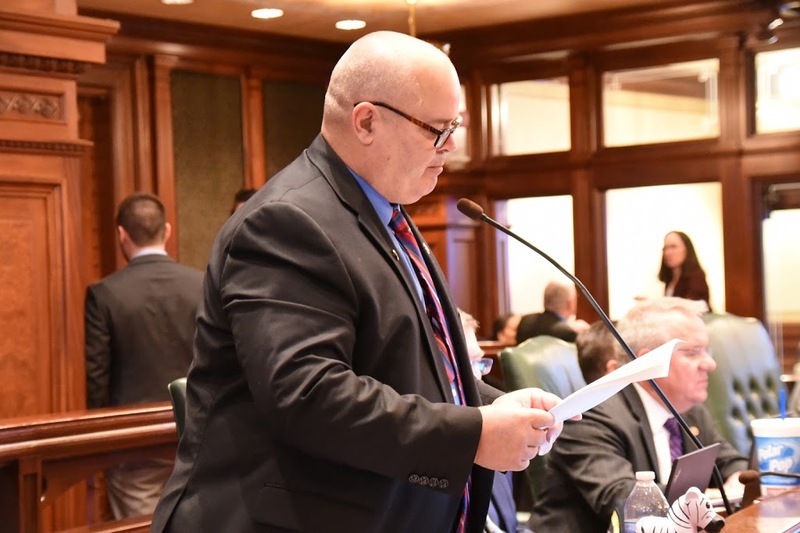 On Wednesday, Rep. Swanson passed House Bill 4212 in the Illinois House, providing a mechanism for law enforcement to immediately respond to a missing veteran. Under Swanson’s bill law enforcement can issue a Silver Alert for a missing veteran. Like an Amber alert, the public will be notified in an effort to quickly locate a missing veteran and perhaps save a life. House Bill 4212 enjoyed the support of the Veterans of Foreign Wars, Illinois Department of Military Affairs, Illinois Department of Veterans’ Affairs, and Mental Health America of Illinois. Under Rep. Swanson’s sponsorship, HB 4212 passed 107-0 and will now go to the Illinois State Senate for consideration. If you are a veteran in crisis or are concerned about one please reach out to the Veterans Crisis Line at 1-800-273-8255 and press 1.